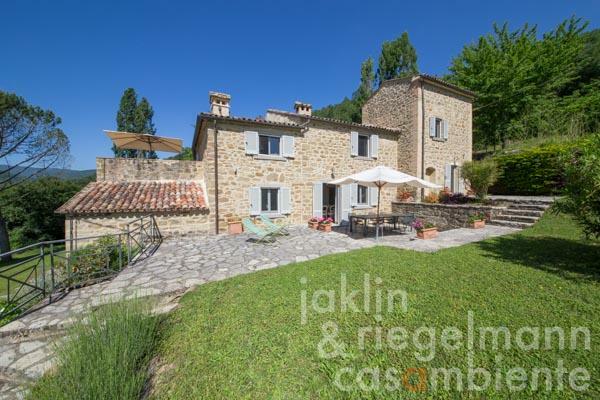 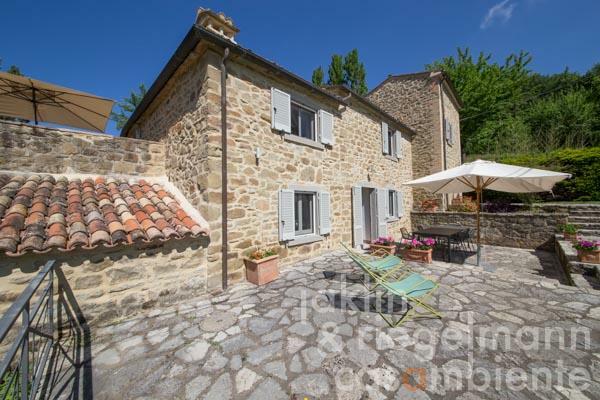 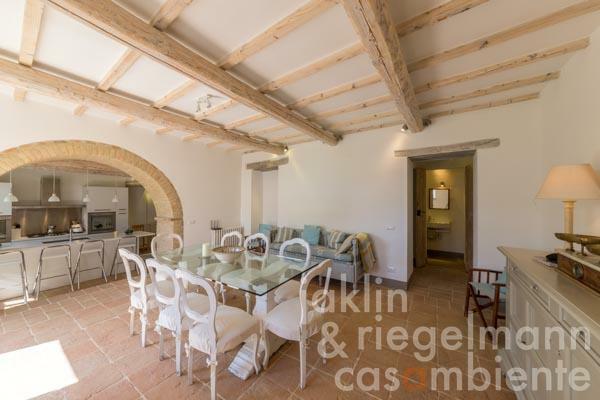 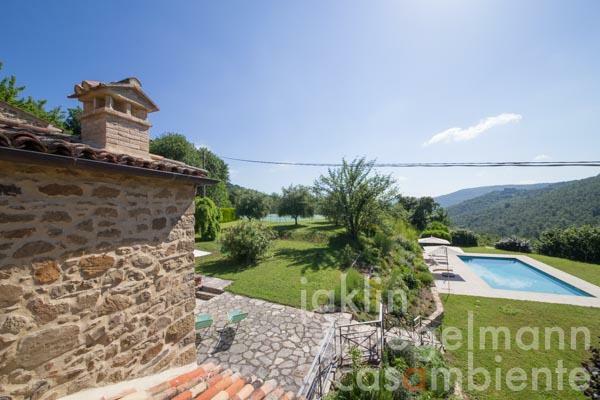 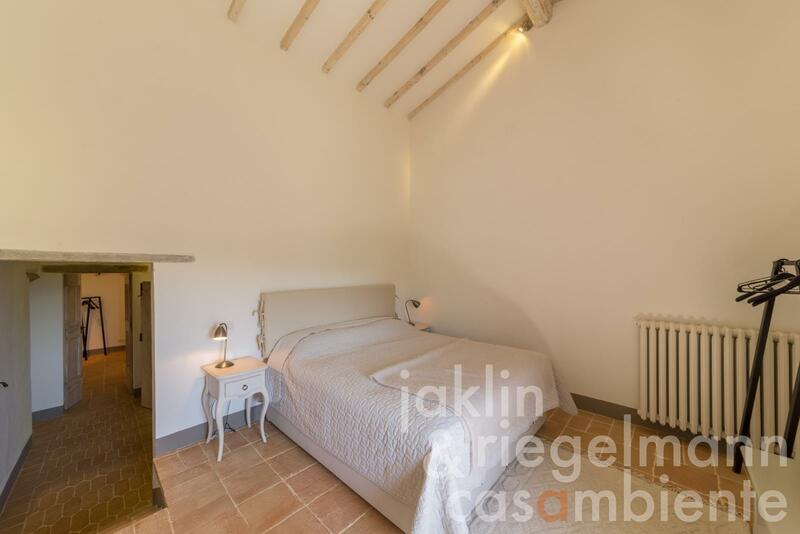 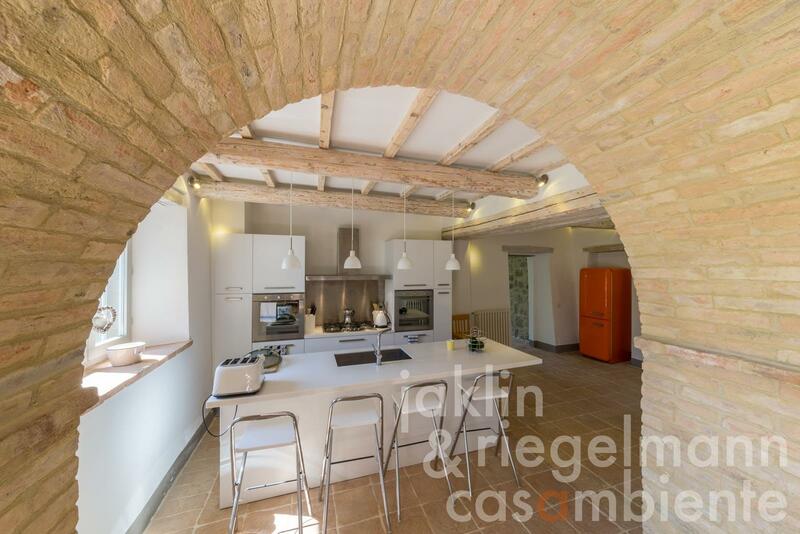 The property consists of a renovated beautiful old farmhouse dating back to the 17th century with mature garden, swimming pool and tennis court. 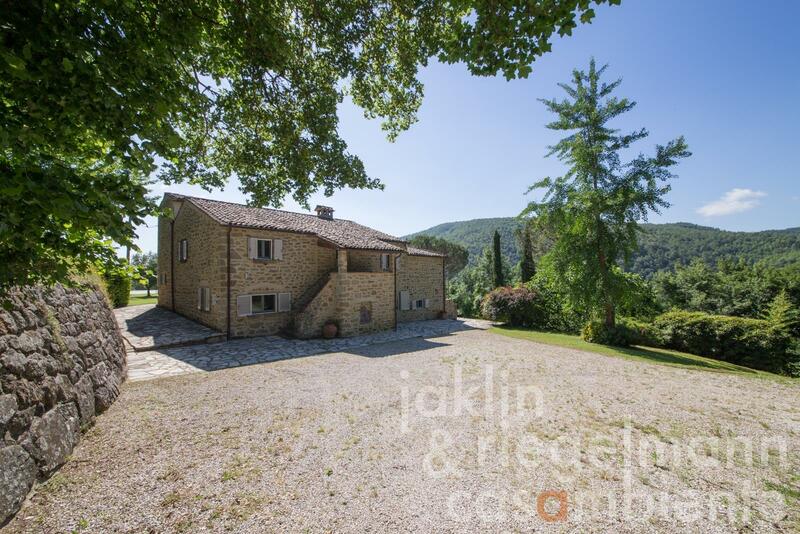 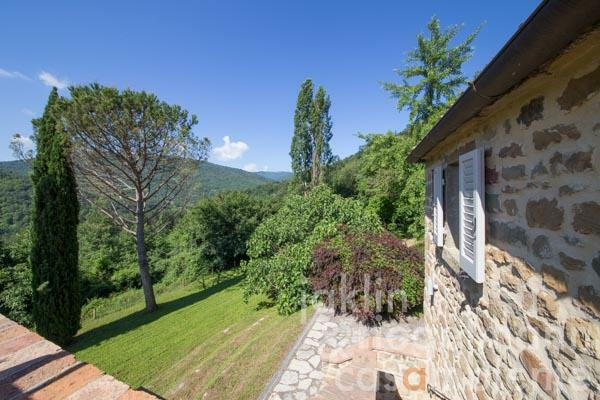 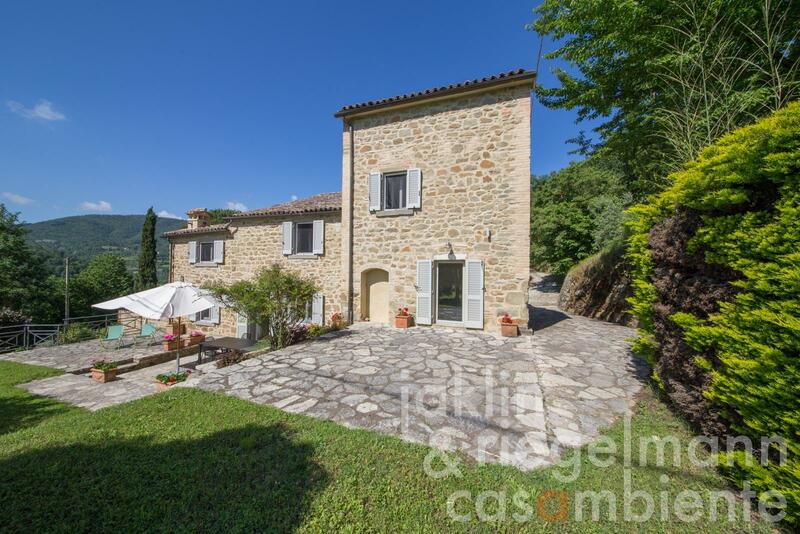 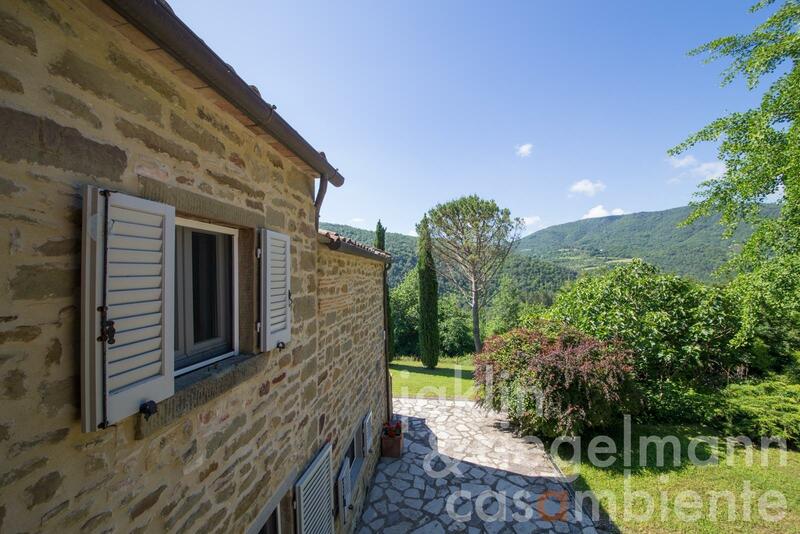 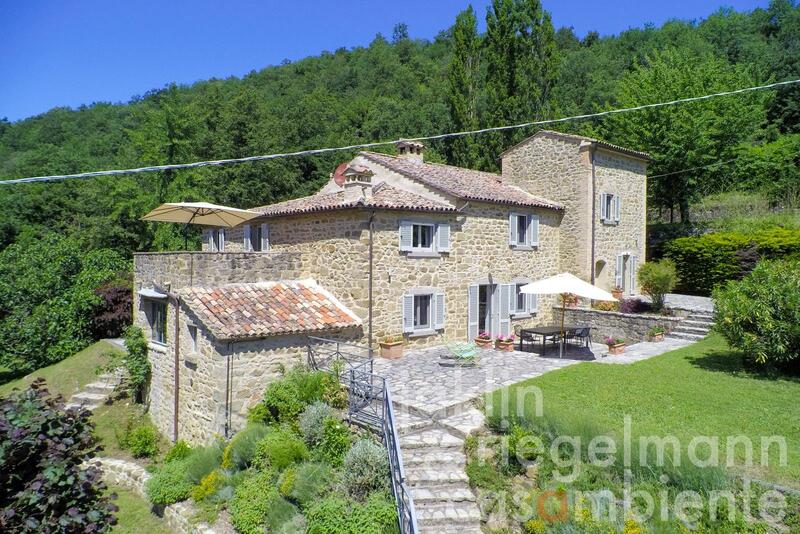 Situated on the border between Tuscany and Umbria and overlooking a valley, it is at 30 minutes from the historic town of Cortona and 45 minutes from Perugia airport. The house of approx. 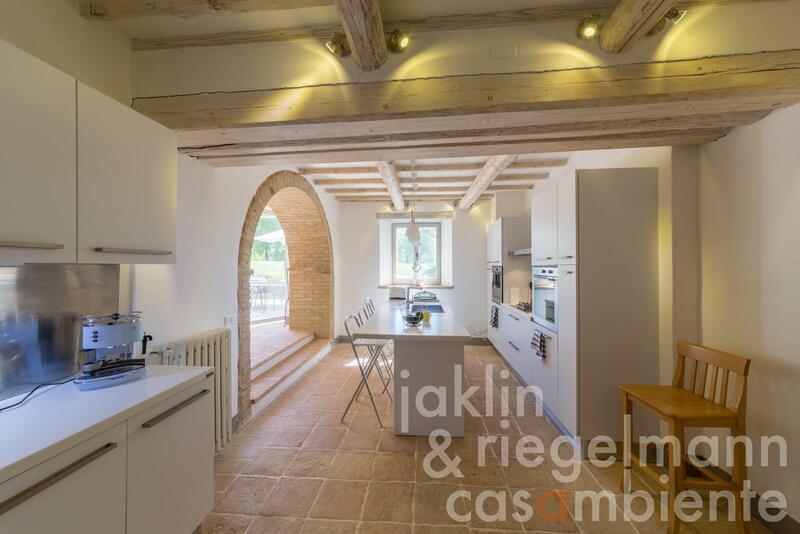 390 m² was completely restored in 2012 to a high standard reflecting Scandinavian and Mediterranean influences. 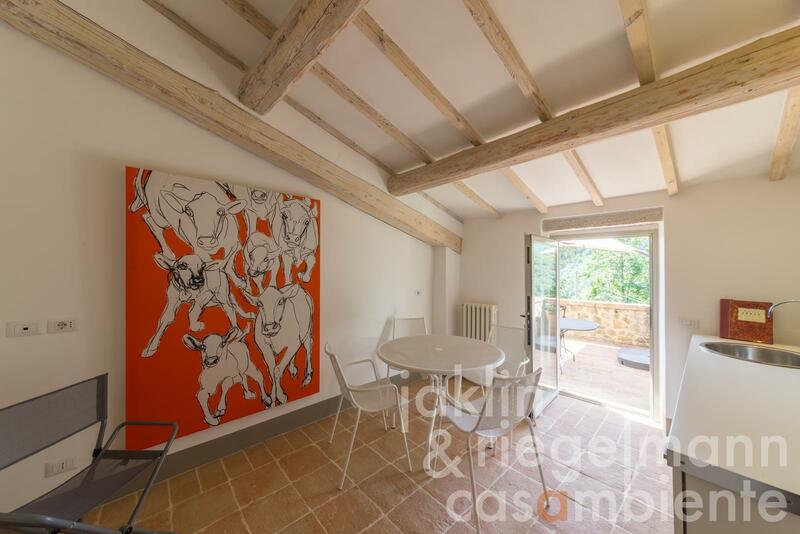 Unlike typical local farmhouses, the house is flooded with light having sand-blasted oak beams, hand-fired pale terracotta tiles and a pale colour palette throughout, set off with splashes of colour from Finnish designers Marimekko. The property is easily accessible through a gated entrance off the country road, yet totally private and protected by mature shrubs and trees. 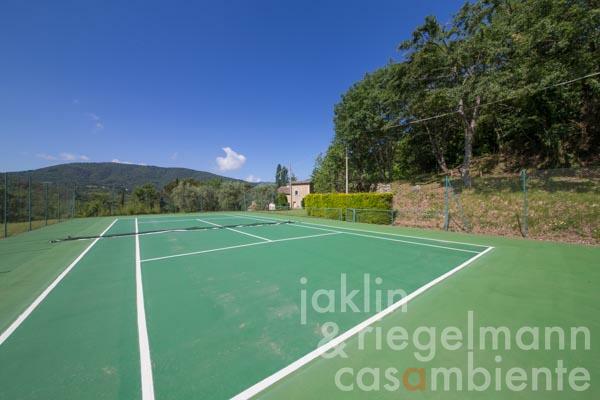 Completing the property are approx 5,000 m² of land with a beautiful, terraced garden, an orchard (with cherry, apricot, fig and plum trees), tennis court and 6 x 12 m swimming pool with sun terrace. 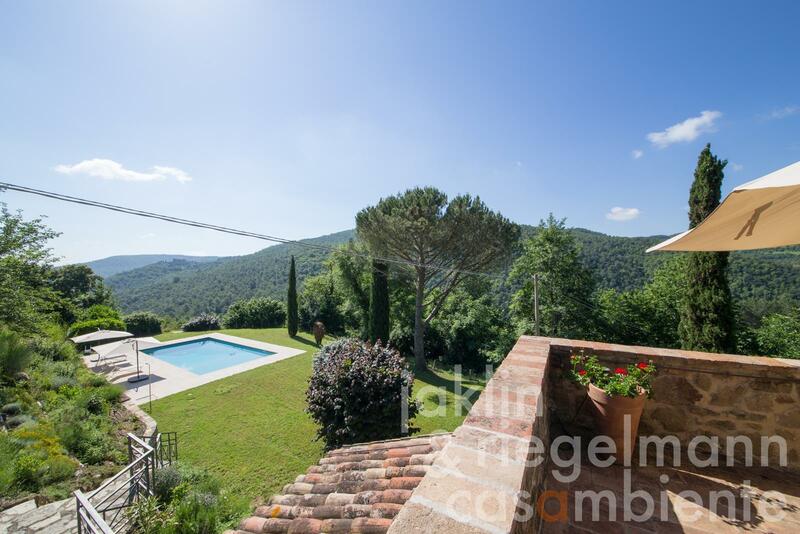 There is an automatic sprinkler watering system for the garden, an automatic lighting system and fencing throughout. 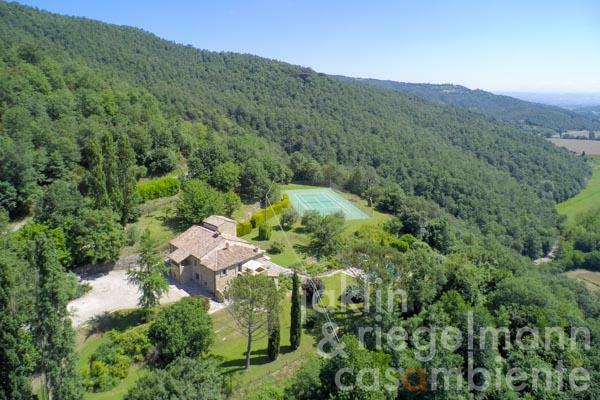 There is a large parking area and a convenient garden shed for storage. 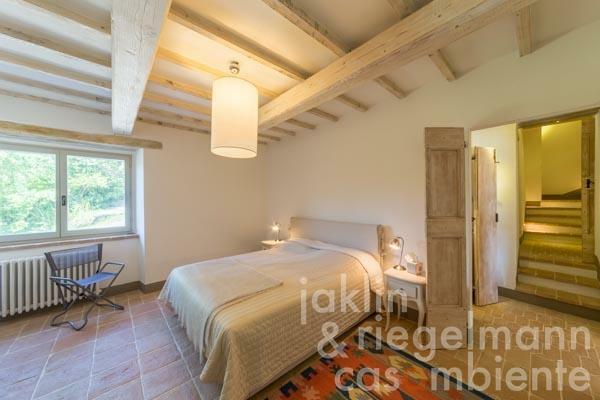 The house is built on two floors. 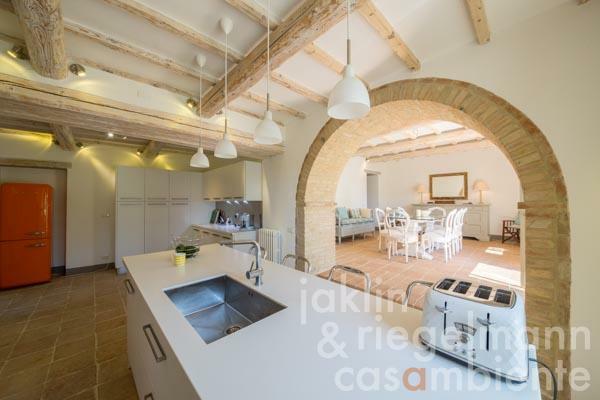 Entering the house from the ground floor double steel and glass doors of the conservatory, you will find the fully equipped kitchen leading through to the open plan dining room and double French doors to the large terrace with its spectacular views over the private garden. 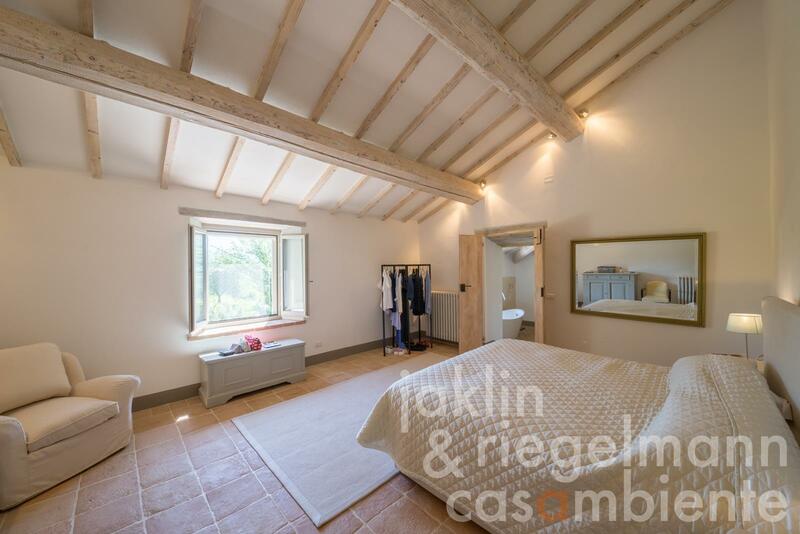 In the summer months this is the heart of the house where you will be spending most of the time. 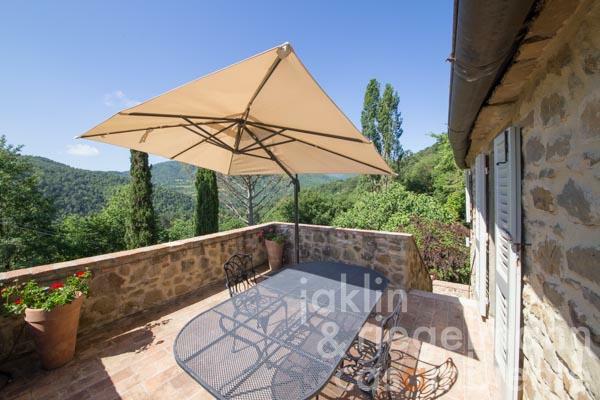 Steps from this terrace lead down to the swimming pool. 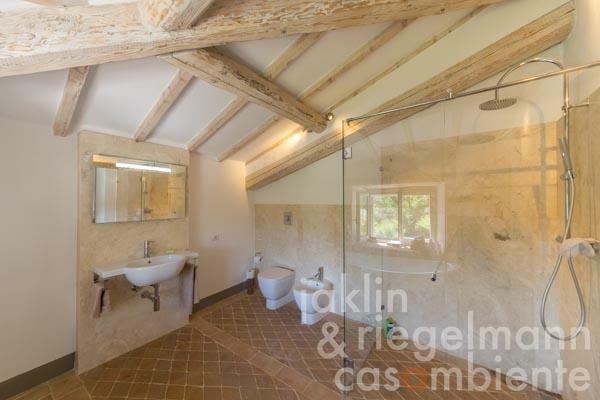 Also on the ground floor are three double bedrooms with their individual en-suite bathrooms. 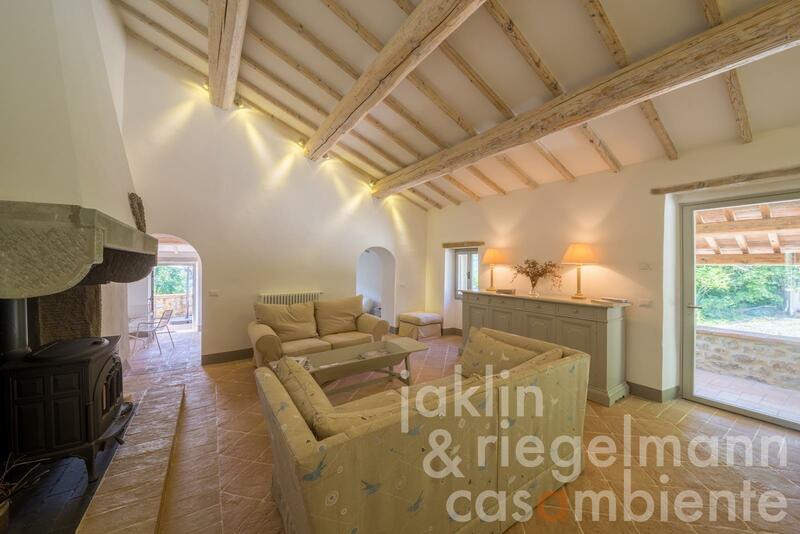 The first floor can be reached via a staircase with LED stair lighting. Alternatively an external staircase leads to a classic loggia on the first floor where you will find a magnificent high ceilinged main reception room with original stone fireplace. 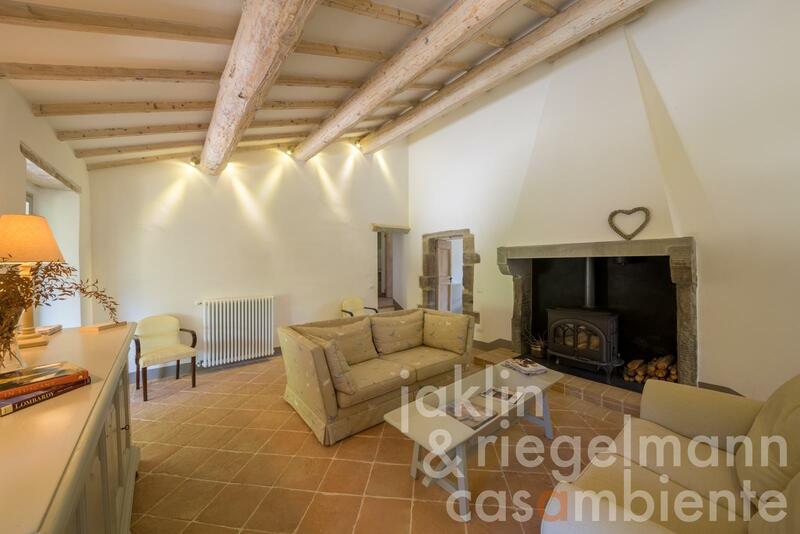 There is a new wood burning stove in place, which, together with the central heating system, easily turns this space into a cosy atmosphere for winter living. 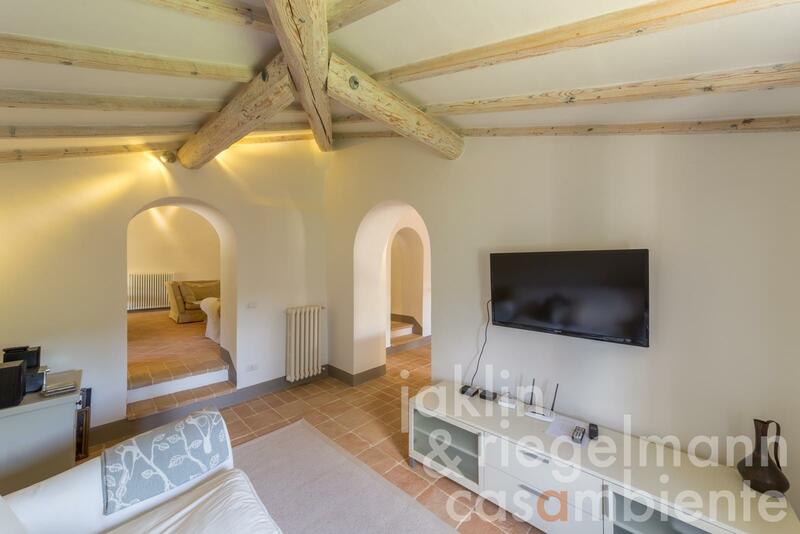 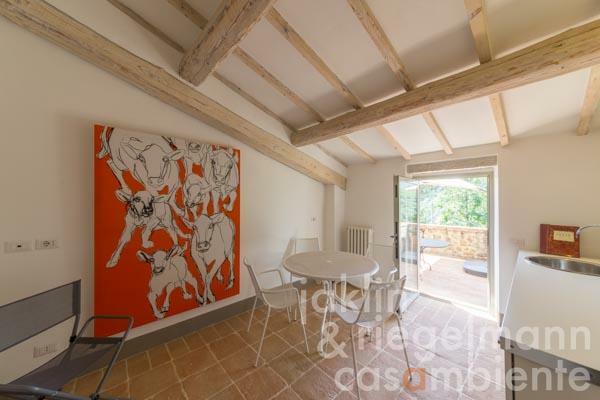 Also on this floor is a TV/music room and a lounge with fitted bar with doors to the first floor terrace with spectacular views of the Apennines. Completing the first floor are a master bedroom with ensuite bathroom (with tub) and 2 more bedrooms with a shared shower room. 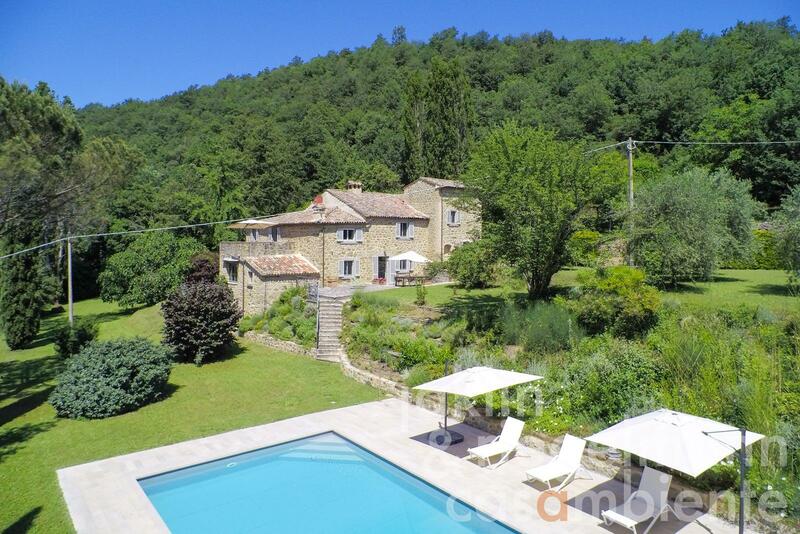 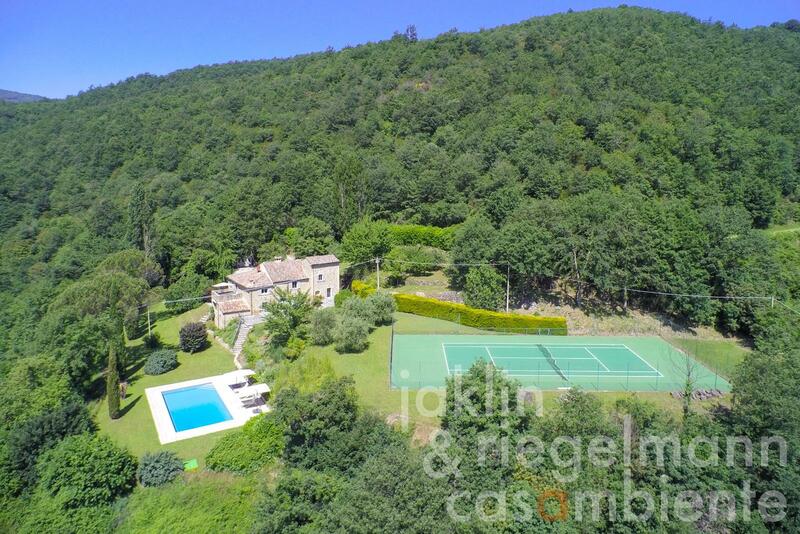 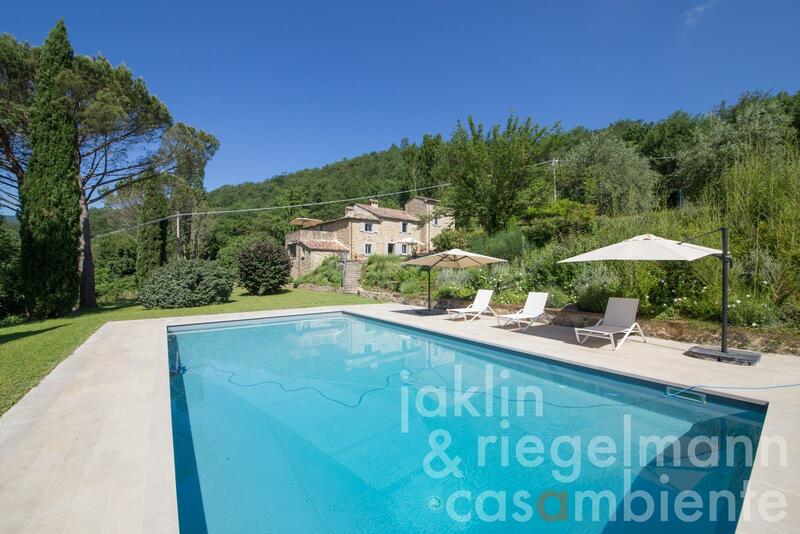 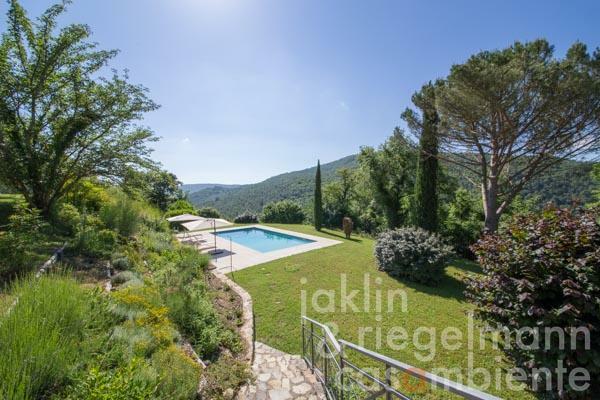 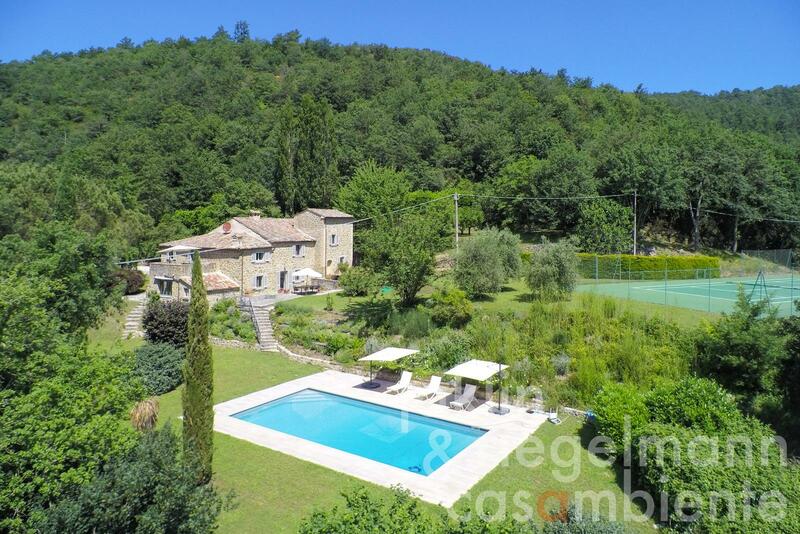 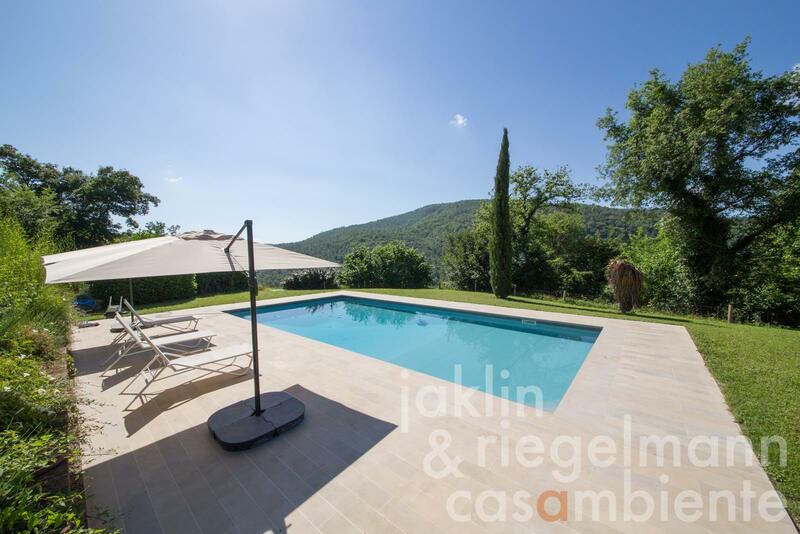 5,664 m² very well-kept garden with swimming pool and tennis court. Electricity, own well water, central heating, fireplace, gas tank, telephone, broadband internet access, satellite-TV, irrigation system, swimming pool, private parking, terrace, garden, tennis court.